Sure we had some light snow on November 6th but it only lasted a couple of hours and promptly melted off but it still felt like fall. This Monday November 16th we returned a day early from the San Juan River fishing trip because of a storm coming in. Didn’t want to be caught hauling an RV trailer on icy roads. Good thing we did as it turns out we had our first major snow and now it feels like winter. This pic was taken about 4 pm on Monday after coming home. We got about 5 inches total by Tuesday morning. Yikes! The garden is dead but isn’t out yet. I have to get it out soon before the ground freezes! Tomato Hornworm revealed-such a good camouflage artist! 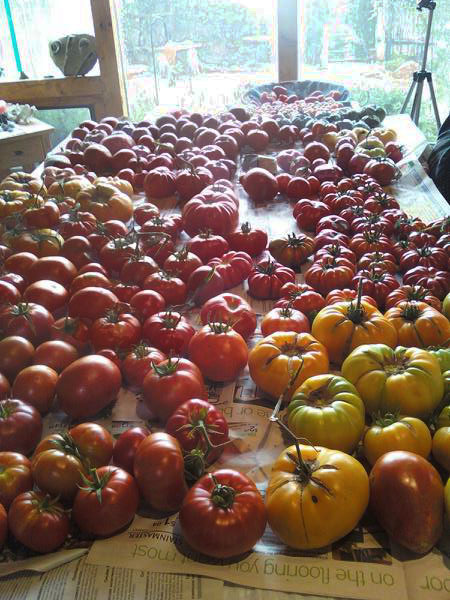 Gave several garden lectures this week. The first lecture was on pests in the garden at this time of year out in the Eldorado Community Garden on Monday August 3. What a lovely garden! I hadn’t been out there for several years and it has expanded and is very beautiful right now (especially with all these rains). 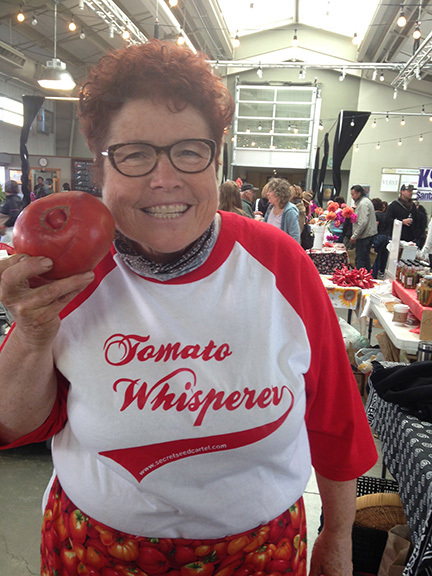 There were lots of questions on gophers, squirrels, aphids, tomato hornworms, cabbage loopers, grasshoppers and other insect pests that are around now and organic control of them. We talked about all these pests and it’s amazing that any plants survive! gophers–trap ’em. Sorry but it’s too hard to grow crops here anyways and to see an 18 yr old apple tree decimated from gophers is a travesty. Gophers are very territorial so you might not have as many as you think. Usually there are only between 2-4 gophers on a property. 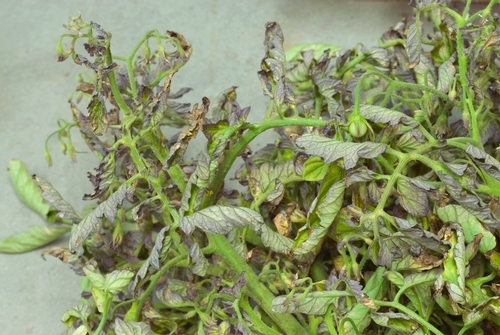 aphids–AZAMAX-a new organic product available only at Newmans. AzaMax is made from special Azadirachtin Technical extracted using patented extraction technology from the Neem tree but is not Neem oil. 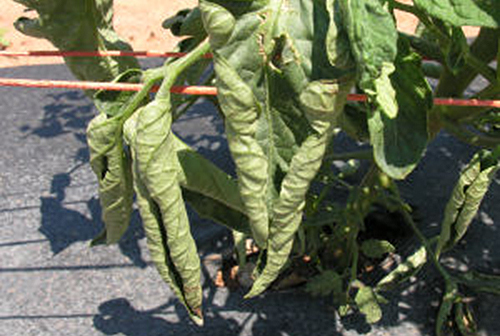 The first week of Azamax applications will pretty much stop the reproduction of spider mites, aphids, or other pests. 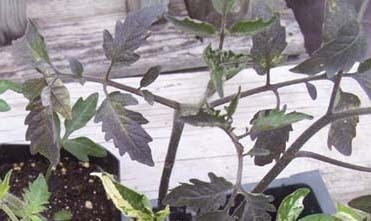 You need to reapply Azamax to your plants every 7-14 days for a few times. Helps disrupt eating and mating. 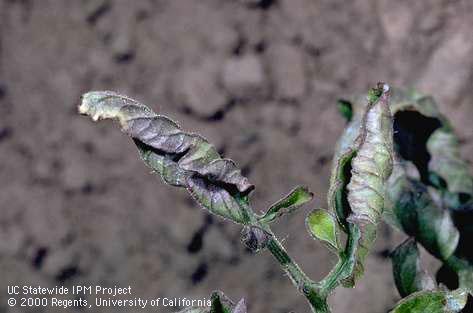 You will then see dead aphids on your plants but they will not be eating them so you need to rinse off before eating your crops. 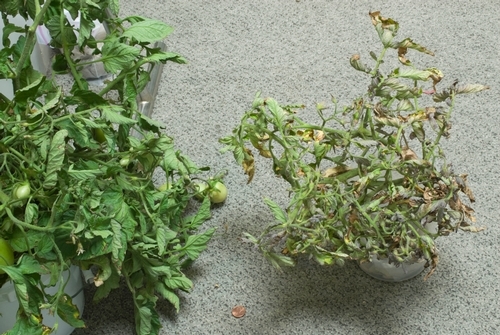 Do not spray in middle of day when it’s hot as it can burn your plants. In fact, it’s good to spray this and Neem in the evening before dark. That way the plants won’t get burned and the bees have gone back to their hive (you don’t want a direct hit on bees) and by morning when it’s dry, it’s fine for bees to be around, just not when it’s wet. I can’t wait to try this on some kale that has them now. A landscaper friend who uses it in her gardens, showed me the dead aphids on her plum tree and it worked. Wish I had it back when the aphids were bad on the fruit trees earlier this year! 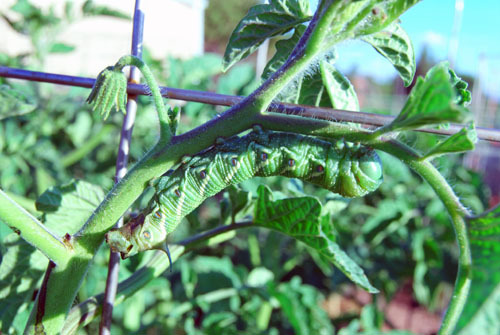 Tomato hornworms-handpick or if you have a heavy infestation, use Bt (Bacillus thuringiensis). Just call it Bt when you ask for it at the nurseries. It wrecks havoc with their digestive system. Is harmless to all other animals but deadly for caterpillars. Cabbage loopers-a caterpillar that eats greens, lettuce, cole crops, kale, etc. Use Bt for all caterpillar problems. Grasshoppers-use NOLO Bait or Semaspore. Same thing, different manufacturers. The problem is most people wait till they are inundated with grasshoppers and then say NOLO bait doesn’t work. Not true. 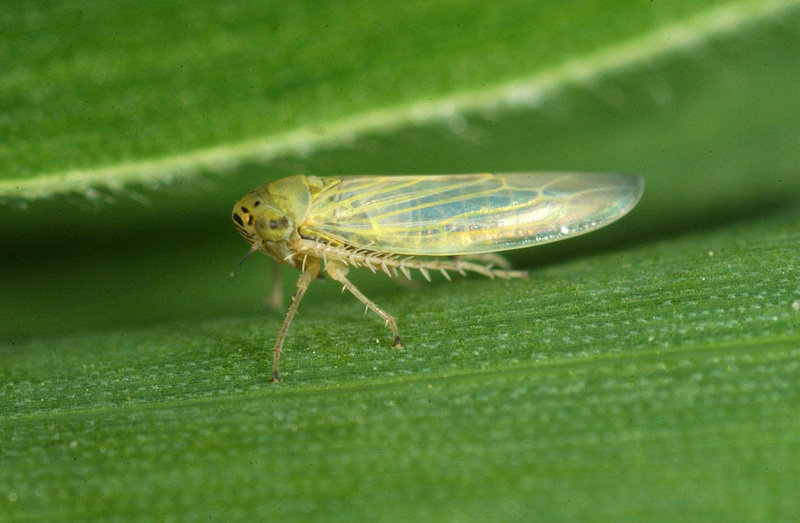 You just need to start much earlier in the season because it takes about 3 weeks+ for it to work and it is not as effective once the baby hopper grow up. Plus you need to refrigerate NOLO. 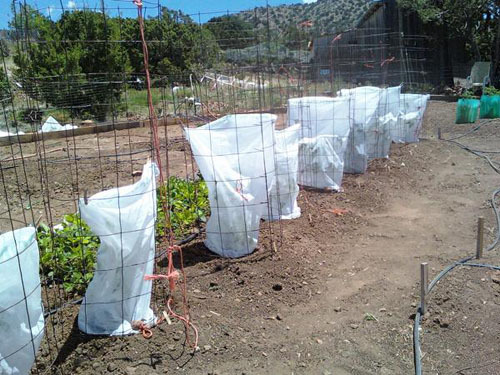 If you have lots of adult grasshoppers now, put row cover over your crops to act as a physical barrier between the hopper and your plants. I noticed last year when I had hoppers that they were gone in 3 weeks and I heard they won’t be as bad the next year as they did not lay eggs and this must be true as I’ve only seen one or two this year. Not harmful to other animals, bees, mammals or birds.